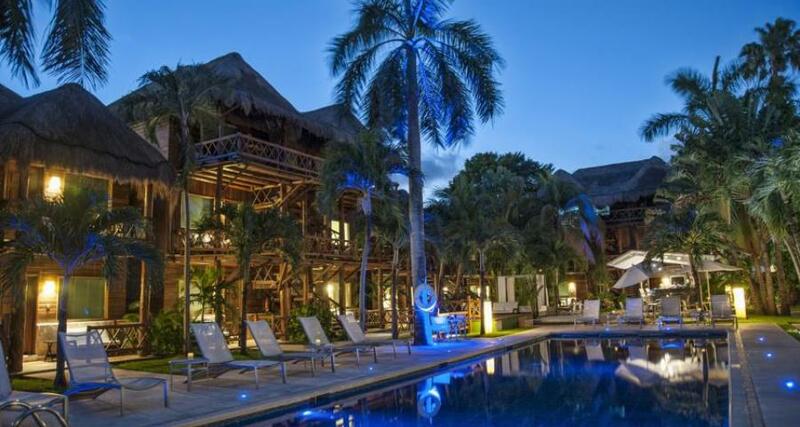 Magic Blue is a 4* adult only hotel located in Playa del Carmen, Mexico. It features 45 rooms and swimming pools. Magic Blue is a hotel that invites you to enjoy a relaxing Caribbean ambiance in Playa del Carmen. This beautiful resort features six buildings with palapa roofs surrounding the pool, where you can lie out under the sun and savor refreshing and delicious tropical cocktails from the bar.